The Epson resetter software for all-in-one Epson SX series. Available resetter in this page is for Epson SX100 up to SX515. Epson SX is newest serial of Epson all-in-one printer. This printer is designed for home user and small business user. 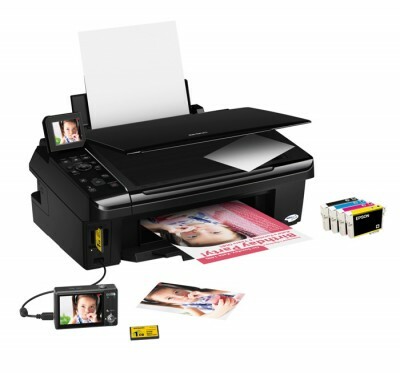 The Epson SX all-in-one printer using the latest 4 single colour ink cartridges (Epson T0891, T0892, T0893 and T0894). This cartridges series are filled with special formula DuraBrite ink. The Epson SX series equipped with LCD display, its allow user to print directly from digital cameras or from other portable device. The available Epson resetter on this page is resetter Epson SX100 – SX105, Epson SX105 and SX106, Epson SX110 – SX111 Epson SX 200-SX205, Epson SX400-SX405 and Epson SX510-SX 515. All software resetter can be downloaded from the following link. I hope all Epson SX resetter above can help you to reset and solve your Epson SX printer. 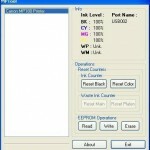 For free Epson resetter can be downloaded on the download page above. Related to "Resetter Epson SX All-in-One Printers"
Very good work. I’m looking for the software Resetter for the Epson SX218. Thanks for the help. Olá, Minha impressora T50. Ao liga-la ela acende consecutivamente os dois leds laranjado e fica piscando direto, como se estivesse sem tinta e sem papel. como resolver esse problema. Desde já obrigado. I need to download Epson L110 resetter, pls help… thanks. great software but how to download it ?? Hi, do you have resetter for epson PX730wd? Please Help me. I’m urgently serching for a resetting program für the ink-waste-counter of the Epson Stylus SX 125. Tanx for your care !!! where is the link i.diot?